Our Creative Director created a new modern logo using their new branded colours. Once the logo was designed, we then developed their new website incorporating the new branded colours. 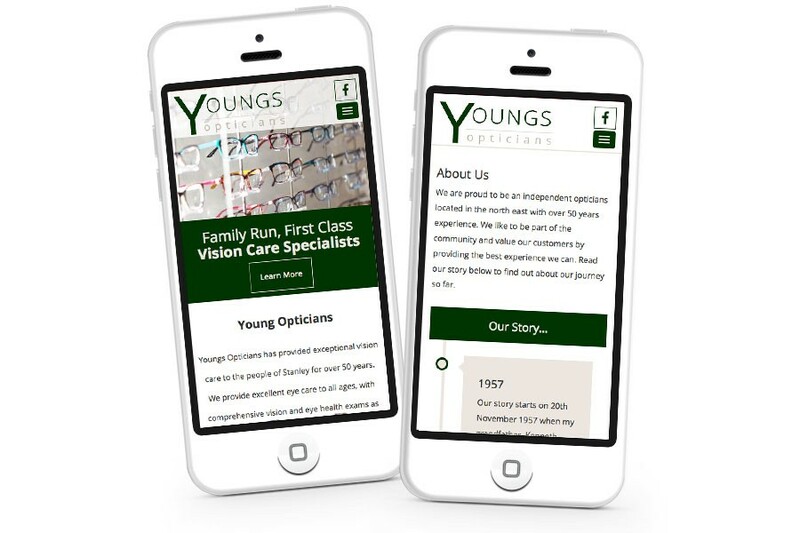 The site includes features such as latest news, which is a great way to show offers that Youngs Opticians have in store. This site is built on the Design365 content management system which is totally bespoke and flexible, allowing the website to match exactly what the client was looking for.